USL Champion Tarek Morad speaks to KingFut’s Eva Isaac about the historic season, his football beginnings, and Egypt qualifying to World Cup 2018. 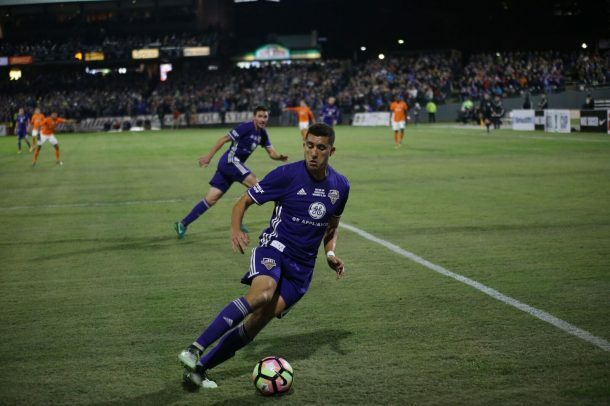 Tarek Morad is a 25-year-old Egyptian-American defender plying his trade in the United Soccer League (USL) with Louisville City FC, who’ve just come off a 1-0 win against Swope Park Rangers to win the 2017 USL Cup. Eva: Firstly, congratulations on winning both the Eastern Conference Title and the USL title this season with Louisville. How does it feel to win both titles after being Conference Finalists the last two years? Tarek Morad: It feels amazing winning both titles this season. We were a bit unlucky the last 2 years to lose the conference championship and to finally win it all this year is incredibly satisfying. I couldn’t think of a better way to end my time in Louisville than to leave as a champion. Eva: You played for Arsenal FC in California, before playing for San Antonio and later UCI in college. Who inspired you to go further and play football professionally after college? TM: All my life I have had to constantly prove myself at every level whether it be youth football, junior college, division 1 college at a 4-year university and now professionally. My family supported me in whatever I wanted to do after college but I had the desire to keep pursuing my passion even if it meant I had to start from the bottom again. Eva: Who is your football role model? TM: My football role model growing up was Zinedine Zidane. He was an incredible footballer and the way he played was so mesmerizing to me and I wanted to play exactly like him. Eva: You have been a part of Louisville City since it’s inception in 2015 and are the record appearance maker for the team. What do you attribute your success to? TM: I believe a lot of the success I’ve had at Louisville City has to do with my work ethic and my drive to get better every day. I’ve learned a lot from our head coach, James O’Connor, and I work tirelessly to improve my game every chance I get because I’m motivated to get to the next level. Eva: A highly spoken about part of your season was the brace in the 4-0 win in the first round of the playoffs against Bethlehem Steel. How did it feel to both score and keep the clean sheet? TM: Scoring two goals in a game is rare for a center back so to do in a very important match gave me a huge boost in confidence. Getting the clean sheet as well was just icing on the cake. It was a great start to our playoff run and I was so happy to start us off on the right foot. Eva: Last month, Egypt made it to it’s first World Cup since 1990, while USA didn’t make it to the World Cup for the first time since 1986. What was it like to witness all that here in the USA? TM: It was incredible to watch Egypt finally make it to the World Cup again. I was born in 1992 so this is the first time in my life I’ll be able to watch them at the highest stage. It made me so proud to be Egyptian. Although I was born in Los Angeles, Egyptian blood runs through me so I wasn’t saddened by the fact that USA didn’t qualify. But I have a different perspective than the average USA fan since I play professionally here and I think them not qualifying will actually make the country better off in the future if the right changes are made. Eva: We have seen Aly Ghazal make a move to MLS side Vancouver Whitecaps in the last window. Do you think MLS and USL are becoming a more attractive option for Egyptians? And if so why? TM: MLS and USL have each gotten a bit more attention in recent years and it’s becoming more attractive for footballers from any country, not only Egyptians, to come play in. I think a large part of that has to do with how attractive living in the USA is, not necessarily the quality of football or player wages. I’m optimistic those will improve but a lot of changes still have to be made in this country for domestic football to truly live up to its potential. Eva: Other than the National Team, do you follow Egyptian football? TM: I don’t follow Egyptian football that much but it’s always been a dream of mine to play football there or to represent the country that my parents were raised in. Eva: If you were to receive an offer from an Egyptian Premier League side, would you be interested in playing in Egypt? TM: Of course it would be a huge challenge for me but I believe in challenging my limits so I would definitely be interested in playing football in Egypt. Eva: Anything you want to add for Egyptians who may have not heard of Tarek Morad before? TM: For those who have never heard of me, know that I play football because it’s my passion and I will do whatever it takes to get to the highest level possible in my career. You may not have heard of me now but I’m only just getting started. 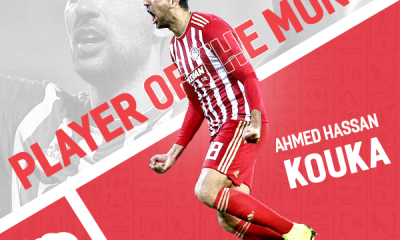 KingFut would like to thank Tarek Morad for his time and wish him the best of luck in the coming seasons.